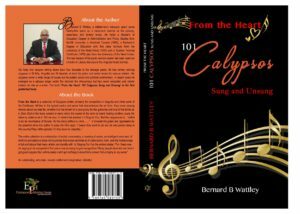 The musical magnificence of Kittitian born Bernard B.Wattley has catapulted him to the heights of his musical pursuits to produce his new book titled, From the Heart: 101 Calypsos Sung and Unsung. This creative and visionaryproject features a collection of 101 Calypsos, both sung and unsung, penned by Wattley himself. The book is a realization of Wattley’s dream of memorializing his numerous compositions for posterity. Bernard B.Wattley was born and raised in the renowned Green Valley, Cayon. It was there that he began writing Calypsos and at a relatively young age, while still a student of the Cayon High School, he acquired a keen sense of social and political issues. This journey has allowed him to tell ordinary and complex stories through the Calypso art form. Bernard has penned numerous Calypsos, primarily for his younger brother Duncan “Big Lice” Wattley, but he is also the musical brainchild behind many tunes by popular national Calypsonians, such as the Mighty Kinta and Godfrey in his early calypso career. In recent times, Wattley has garnered the respect of two well-known female Calypsonians, namely Queen Kibi and Queeny G, with whom he is forging an artistic relationship. His confidence in the caliber of his work and love for the artform resonates in his compositions. 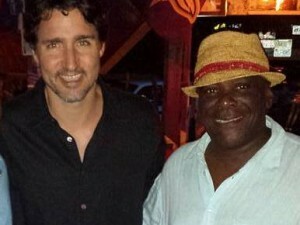 Bernard has lived in Anguilla for the past thirty-five years where he has continued to lend his artistic ability to several Calypsonians both in Anguilla and St. Maarten, at the junior and senior levels, with a great degree of success. From the Heart: 101 Calypsos Sung and Unsung is a project that will come to fruition upon the Amazon online launch of the book. The official book launch will take place in Anguilla on Saturday 29, September 2018 and has been timed to coincide with Bernard’s retirement and subsequent departure from the Anguilla Public Service. He also plans a launch of the book in St. Kitts and Nevis shortly thereafter. Bernard firmly believes in the saying, “The true beauty of music is that it connects people. It carries a message and we the musicians are the messengers.” The author is humbled by the power of his messages through the stroke of a pen. As Bernard B.Wattley takes this new and exciting musical journey, he warmly invites nationals at home and in the Diaspora, as well as music lovers from every walk of life to explore the heart of social and global commentary. Only through the support of the people can “From the Heart” be a successful project. Bernard B.Wattley has been a career Public Servant and holds degrees from both the UWI and McGill University.